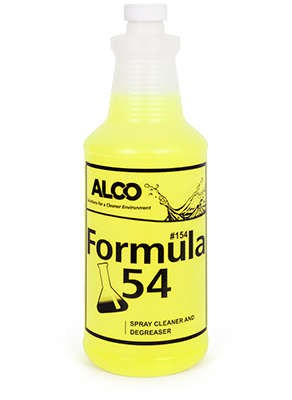 Alco Formula 54 - Alco-Chem, Inc. Contains an all natural citrus ingredient for use as a heavy duty cleaner and degreaser for all washable surfaces. Removes soil and grease on contact. Spray and wipe "ready to work".